Equipped with a four-wheel electrical drive chain, tilt-able solar panels, rechargeable batteries and science-grade high definition cameras, the Audi lunar quattro rovers will deploy and operate a series of scientific and technological payloads on the Moon. We will use our first mission, Mission to the Moon, as a technology demonstration mission to explore new ways to bring down the costs of space exploration. The Audi Lunar quattro is a cutting-edge lunar rover designed by PTScientists in conjunction with our technical partner Audi. Featuring active suspension and four-wheel drive, this lightweight, sturdy vehicle has been designed to withstand the harsh environment of space and navigate the lunar surface. It has a mass of just 30 kg, with capacity to carry 5 kg of additional payload. The low mass has been achieved using state-of-the-art metal 3D printing techniques in partnership with automobile manufacturer Audi. The Audi lunar quattro rovers will be controlled from Earth using a joystick in real-time. 3D-depth information from the stereoscopic cameras will be used to assist the rover operators. It can also communicate with our lunar lander (ALINA) using LTE mobile data communications. 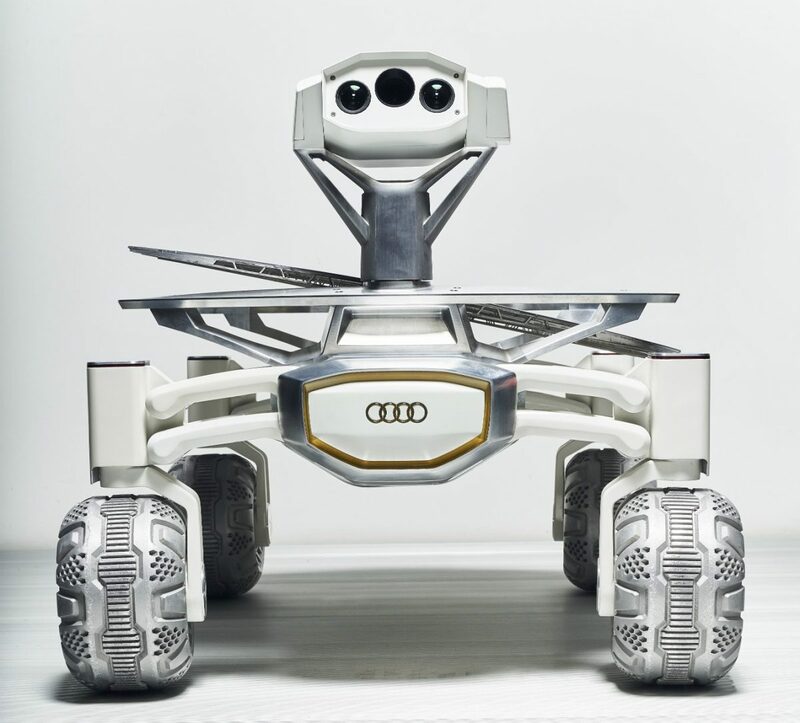 The Audi lunar quattro is our fourth generation rover, and the culmination of nine years of design and development work, from PTScientists and engineers at Audi. 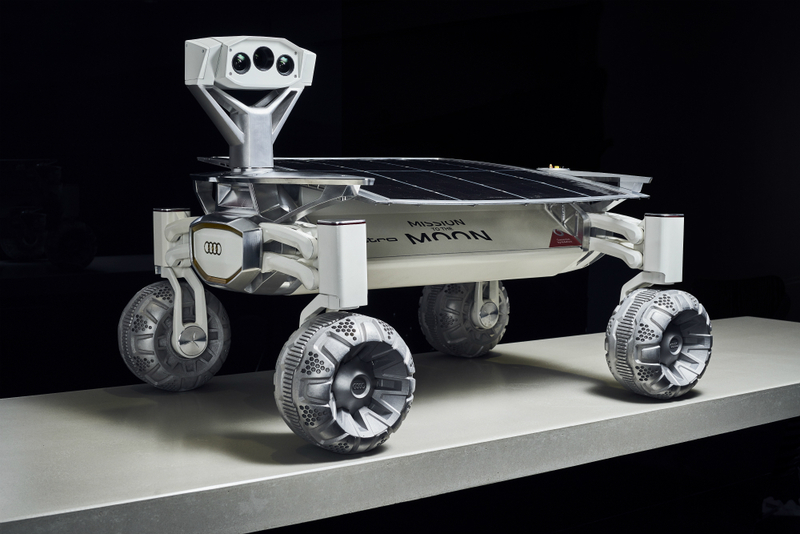 Contact our sales team at sales@ptscientists.com to find out more about licensing the rover or securing a rover payload space on Mission to the Moon.